The highest of all values is love. Spiritual values are important now. More than they ever have been before. You see , this 5th dimensional energy can really be called”spiritual energy” – it is higher than what you are used to living in. This is why you signed up to be here at this time. For love is what will help everyone. Love has the highest spiritual value because it comes from God Himself. The Highest Spiritual values all come from God, the Most High. Spirituality, is recognizing the Spirit self. 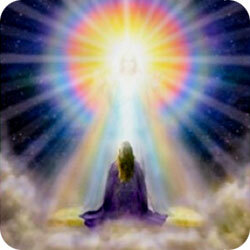 And aligning with your spirit self an the Holy Spirit is what it is all about here on this earth plane. In the physical, it may not seem so, but that is because some may be focused on the body, on the physical, in the 3D dimension, where people have lived for centuries. Focus on what Jesus taught, to love God first , and love others as yourself (Luke 10:27). This is the highest value possible, and it fulfills the Torah, the old law. It fulfills every law, and within it , there is no law because the law is fulfilled. God has sent you here to love beloved, love Him , love yourselves, love one another. Love is the highest spiritual value and is good for all creatures. Give thanks to God for all lessons, even if they seem trivial. God holds the future, the present and the past. Give thanks for all lessons and know He is the one directing your steps , now and always. Love Him, place Him first and know that you are His beloved child, whom He loves.